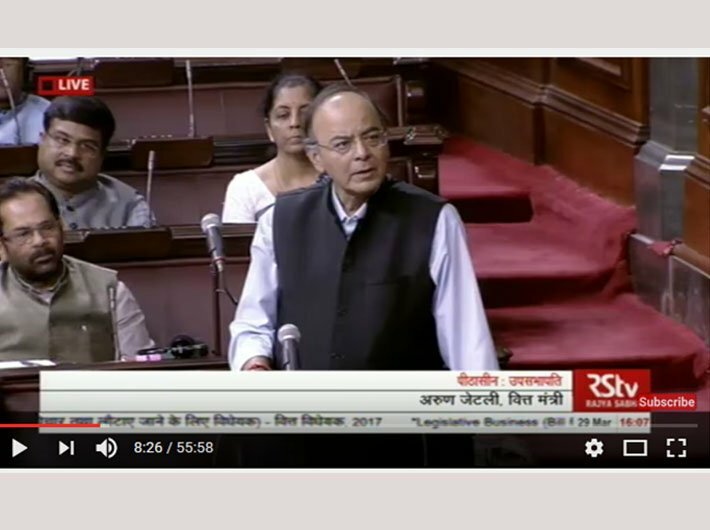 After an intense seven-hour-long debate in the Lok Sabha, the cabinet gave a nod to the Goods and Services Tax (GST) Bill. A green signal has also been given to the four crucial supplementary bills; Central Goods and Services Tax (CGST) Bill, Integrated GST (IGST) Bill, Compensation GST (compensation to the states) Bill, and Union Territory GST (UTGST) Bill 2017. A go-ahead to the fifth bill, State GST (SGST), was given earlier. While each of the state assemblies have to pass the SGST, the other four bills have to be approved by the parliament. All these bills are crucial for the implementation of the single tax on the supply of goods and services, right from the manufacturer to the consumer. The deadline for the rollout of GST is set for July 1. The GST Council, a representative body comprising finance minister and state finance ministers, has recommended a four tier tax structure – 5%, 12%, 18% and 28% – within an overall cap of 40%. Additionally a cess on luxury items like cars and demerit goods like tobacco, cigarettes, etc. will be levied. The council is yet to fix which goods and services fall under which slab. Finance minister Arun Jaitley has assured that “hawai chappal and a luxury car cannot have the same tax rates”. For the implementation of GST in the country, the central and state governments have jointly registered GST Network (GSTN) as a not-for-profit, non-government company to provide shared IT infrastructure and services to central and state governments, tax payers and other stakeholders. It is in the process of testing its software and hardware. The government has also constituted working groups for certain sectors like banking, telecom, exports, IT/ITeS, transport and logistics, and textiles to look into industry-specific issues to ensure a smooth transition. With the GST coming in, centre-level taxes likes central excise duty; duties of excise (medicinal and toilet preparations); additional duties of excise (goods of special importance); additional duties of excise (textiles and textile products); additional duties of customs (commonly known as CVD); special additional duty of customs (SAD); service tax; and state-level taxes like state VAT; central sales tax; purchase tax; luxury tax; entry tax (all forms); entertainment tax (not levied by local bodies); taxes on advertisements, on lotteries, betting and gambling, etc. will be subsumed. UTGST: It provides for levy of GST on intra-UT supply of goods and services in the union territories without legislature. It shall extend to the union territories of the Andaman and Nicobar Islands, Lakshadweep, Dadra and Nagar Haveli, Daman and Diu, Chandigarh and other territory. GST (compensation to states) bill: It provides states compensation for five years for losses arising from a transition to GST. CGST: The centre will levy and collect tax on intra-state supply of goods and services. Here, the central government will notify rates at which CGST will be levied, subject to a cap of 20%. This implies that the government may change rates subject to a cap of 20%, without requiring the approval of parliament. Further, businesses with turnover less than Rs 50 lakh may choose to pay tax at a flat rate notified by the government (known as composition levy), which will be capped at 2.5%. It will be applicable to the whole of India except Jammu and Kashmir. SGST: States will levy and collect GST on supply of goods and services within a state. IGST: The centre will levy the GST on inter-state supply of goods and services, and apportion the state’s share of tax to the state where the good or service is consumed. It shall extend to the whole of India except Jammu and Kashmir. IGST rate cap has been increased from 28% to 40%. Further, IGST shall not be levied on alcoholic liquor on human consumption.